Okay, normally the foodie posts are done on Friday but after some tweets back and forth, I was inspired to write up the awesome experience eating Fugu (河豚) when we got a chance to visit Tokyo a few years back (thanks for the inspiration @sqlbelle!). For starters, you have to make sure that you order fugu from a sushi chef that has a long history of experience with fugu – one wrong slice and … you’re not going to do so well, eh!? 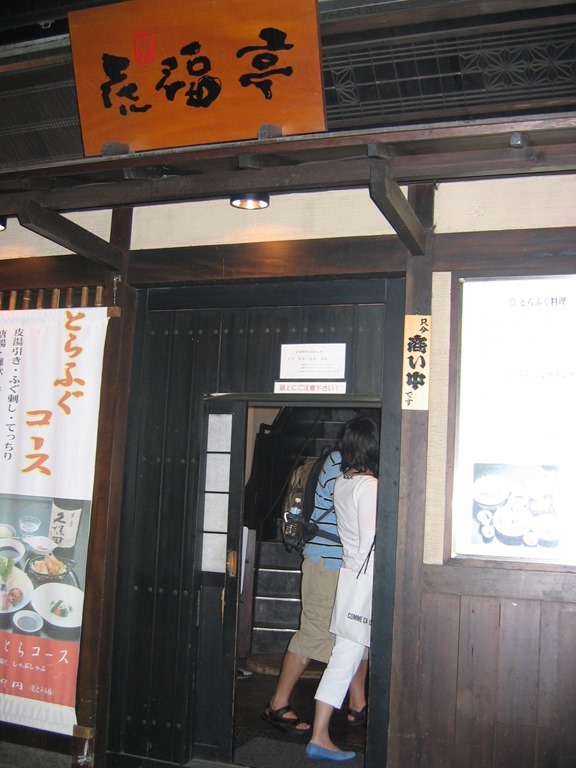 Near the front of the restaurants that serve fugu, they have a sign showing the number of people that have gotten sick / died from eating fugu prepared there! To help us navigate the landscape, we (my wife Hua-Ping and I) were lucky enough to have a sister-in-law that is based out of Tokyo. She brought us to 虎福亭 which is near Shibuya station. 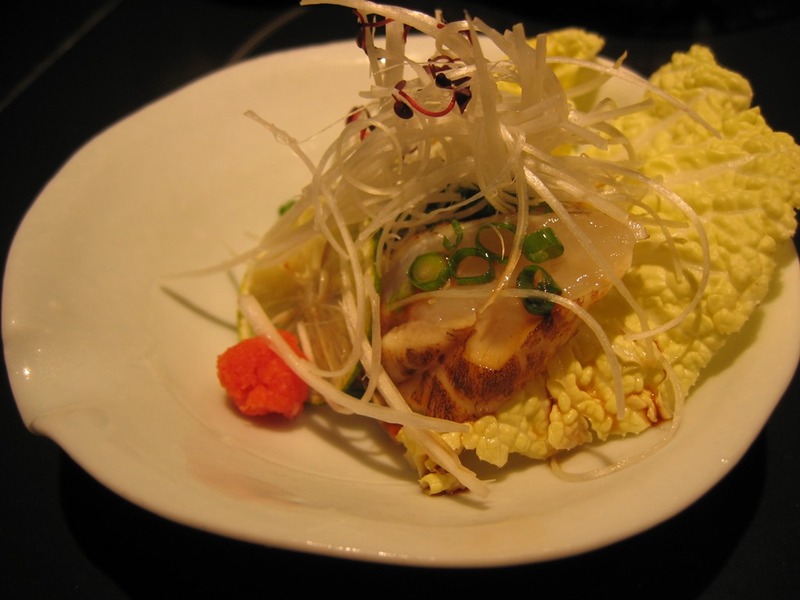 When you order fugu, it’s a full meal experience with multiple courses to make use of every single piece of the fugu. 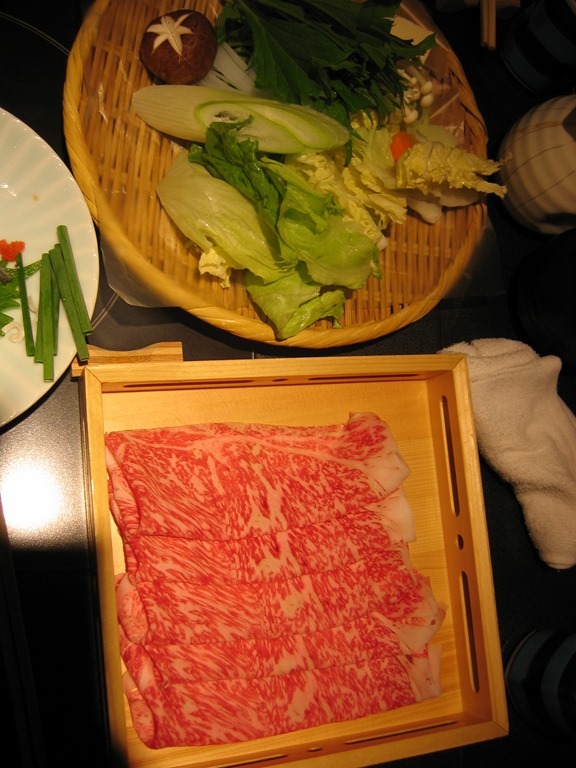 In our case, we had a party of five so we ordered three orders of fugu and one of the famous Kobe marbled beef. 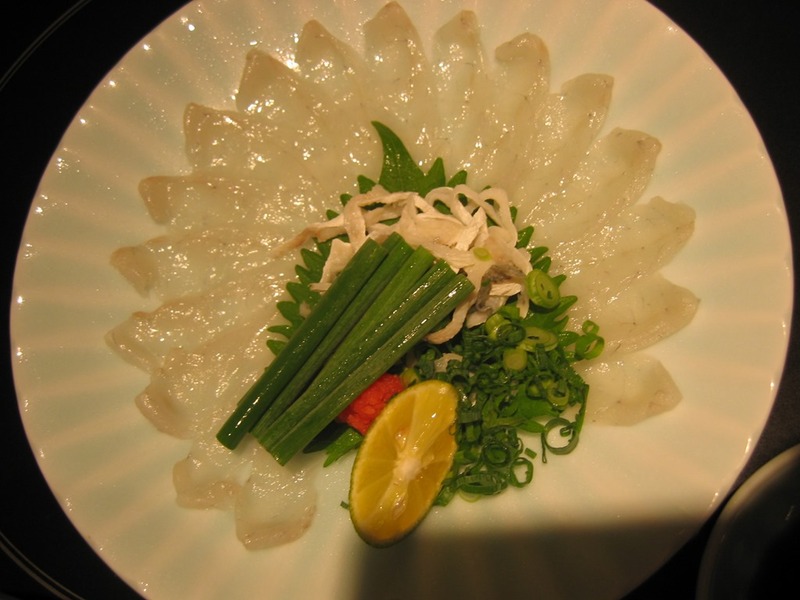 For starters, they serve us thinly sliced fugu sashimi as you can see from this picture below. Like the Kobe beef and pretty much every single portion of this meal, it’s not just delicious but it’s amazing work of art. 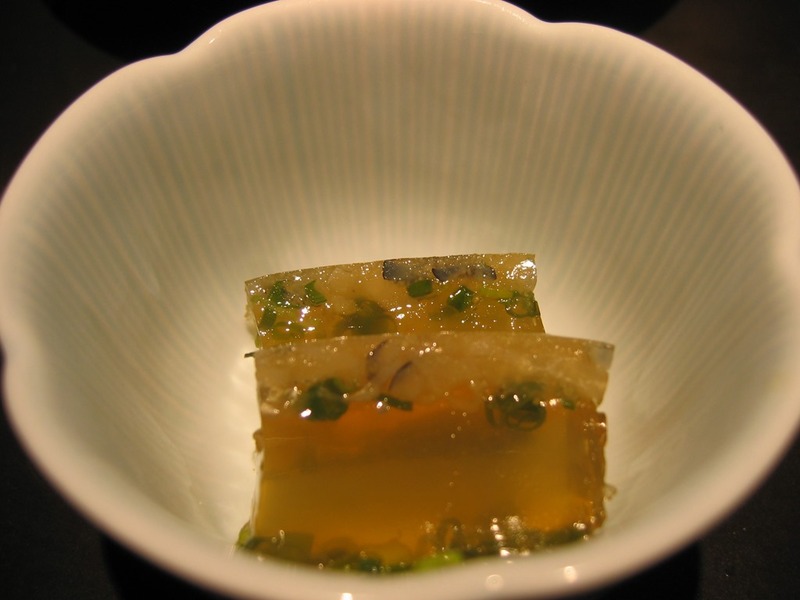 Below is an impressive little appetizer to help clean the palate – a gelatin that is made from the skin and grinded bones of the fugu. The cleansing of the palate then allows you to fully enjoy the thickly sliced fugu sashimi as per the image below. Chewy (in a good way) and surprisingly flavorful, the little bits of onion enhance the flavor of the fish (instead of overpowering it). I didn’t take any pictures of the final portion of the meal as by this time we were simply engulfing the food. 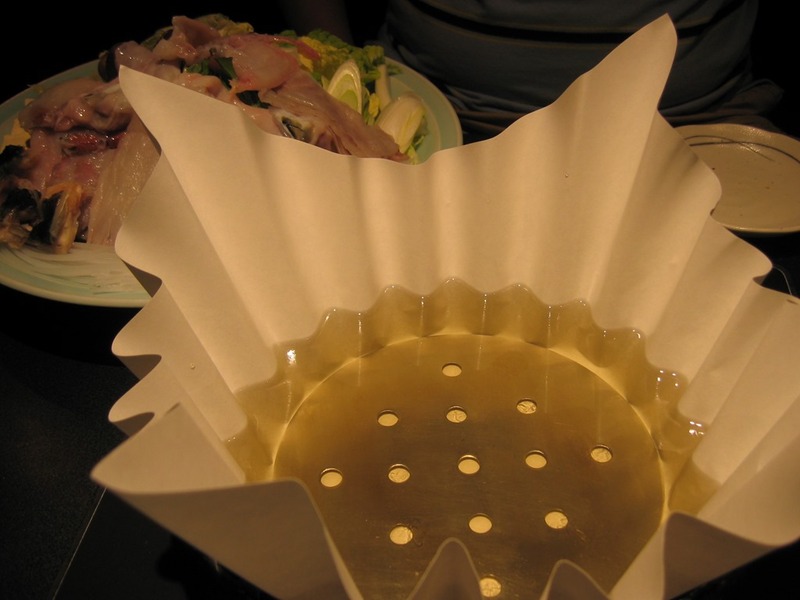 Below is a picture of the oil placed in a paper pot – yes, it’s a pot made out of paper used to boil the oil, cook the remaining fish parts (you can see part of the raw fish parts behind the paper pot) in a hot-pot like fashion (vegetables, mushrooms, sprouts, etc. are added with the fish so you can have yourself a nice hearty meal). But we’re not done yet – the skilled waitress had cooked the fish to perfection – not too short so its actually cooked but not too long to dry the parts. Just as quickly, she removed the fish and vegetables to leave only oil and fish broth. She did this, because she made what I shall describe as the best rice soup I’ve had to date. Far from soupy, this is a thick rice soup with actual weight – the flavor of the fugu immersed within the rice with little chucks of fugu fat all through out. Thoroughly enjoyable meal – it was an amazing experience and I will definitely do this again! If you’re in Tokyo – you must try this once-in-a-lifetime experience (pun intended)!